For a while in the late '90s and 2000s, it felt like you couldn't watch a trailer for a new comedy without seeing the familiar face of Ben Stiller. He appeared in five or six films a year for the majority of the decade, delighting audiences with his stark comedic deadpan, especially when the film's plot placed him in completely absurd or embarrassing situations. Lately, though, it seems that the prolific actor has moved away from the limelight and into the background. He appears to be looking for a new direction in his career, but many fans are wondering if they'll be seeing him on the big screen again any time soon. 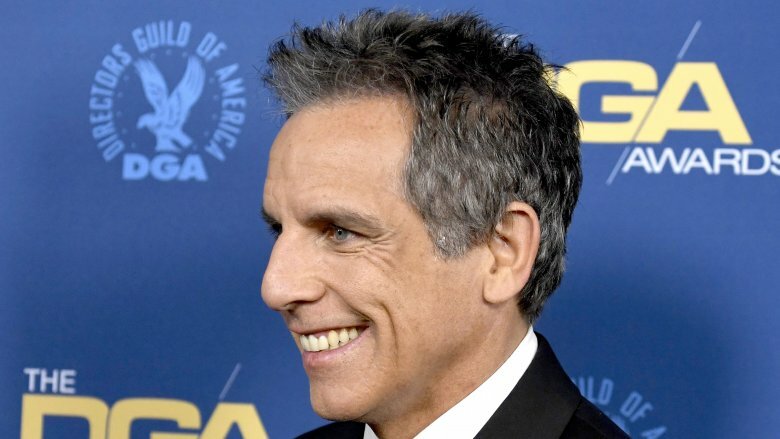 Between directorial aspirations, personal and interpersonal trials, and global refugee concerns, it seems Stiller has had a very full plate for the last few years. It's no wonder that acting has taken a back seat. Let's take a closer look at what's been keeping him from acting, and the real reasons you don't see Ben Stiller anymore. In 2018, Stiller only appeared in two episodes of Arrested Development and four episodes of Saturday Night Live. In the former, he reprised his role of Tony Wonder, a gay magician originally introduced in 2005 as a rival to G.O.B. and not seen on the show since 2013. In the last episode aired in 2018, titled "Premature Independence," Tony is sealed away in a closet on a parade float, which doesn't bode well for his return. 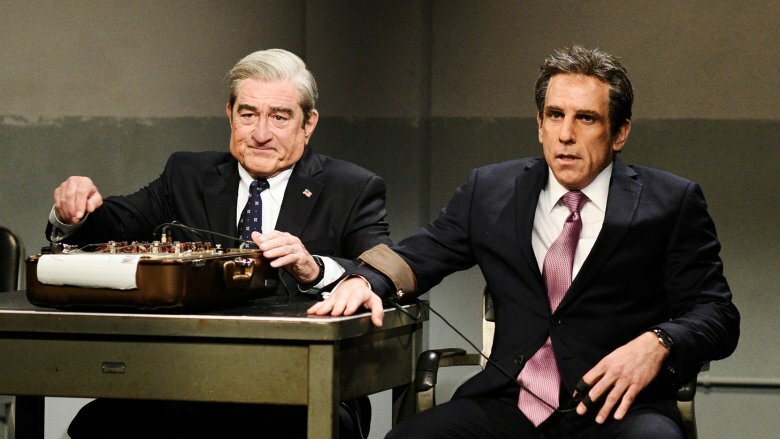 On SNL, Stiller took on the role of Donald Trump's attorney Michael Cohen and shared the stage with such luminaries as Alec Baldwin, Robert De Niro, and even adult film actress Stormy Daniels. Before this, Stiller last appeared on SNL in 2016 as his character Derek Zoolander, just ahead of the release of Zoolander 2. But between filming TV episodes, it seems he's been tackling some less audience-centric roles. In 2013, Stiller directed and starred in the difficult-to-define film The Secret Life of Walter Mitty, adapted from James Thurber's short story, originally published in 1939. 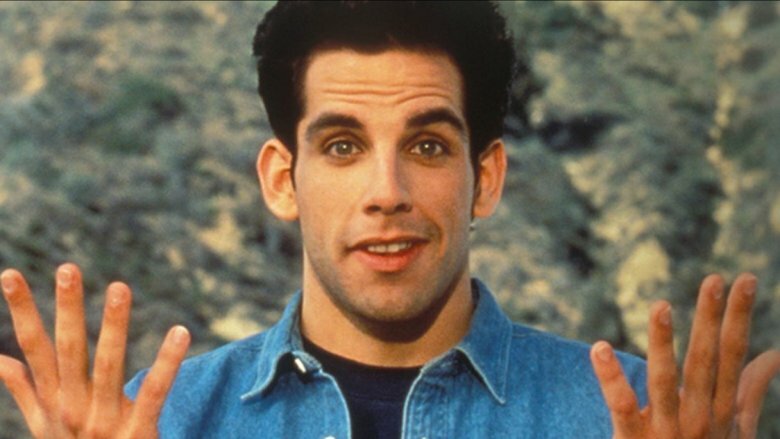 Though not his directorial debut by a long shot, the film has a very different tone from previous Stiller works like The Cable Guy and Zoolander. In a 2013 interview around the release of Mitty, Stiller claimed, "For me, the whole creative experience is much more fulfilling as a director." He discussed his childhood dream of becoming a cinematographer and a director, and how acting often just came about as the creative process on a given project got underway. Since 2013, he's directed Zoolander 2 and worked on the Showtime original series Escape at Dannemora. Another TV series, Super Sad True Love Story, an adaptation of Gary Shteyngart's 2010 novel of the same name, was announced at Showtime in 2016. Ben Stiller has always had a desire to maintain creative control of his projects. His original run on SNL was over after only a couple of months because what he really wanted to do was make short films. He moved on to The Ben Stiller Show, a 13-episode comedy variety show where he took on acting roles while also directing, producing, and writing. The series is best known for its film parodies, echoing Stiller's 1987 directorial debut, the short film The Hustler of Money, inspired by Martin Scorsese's The Color of Money. In 1999, four years after The Ben Stiller Show ended, he produced and directed the science-fiction TV short Heat Vision Jack. After his career really took off, he started directing and producing projects through his company Red Hour Productions, including his parents' weekly web series Stiller & Meara. While acting was taking up a good deal of his time, Stiller was still able to juggle his other ambitions. From the outset, it's been clear that acting has never been Stiller's only goal in Hollywood. Stiller's short film and TV credits for directing are only a small part of his non-acting oeuvre. He's directed five films that have seen major theatrical release, and he's produced ten times as many other film projects, including documentaries such as The Boys: The Sherman Brothers' Story. A straightforward documentary about a pair of songwriting brothers seems like a departure for Stiller, but the limited release met mostly favorable reviews, proving he's an artist of many interests and talents. In many cases, he's served as a writer on film projects as well, like Zoolander and its 2016 sequel. Clearly, there's precedent for Stiller to take a step back from acting to focus on diversifying his non-acting skills and pursue those long-standing goals of pulling the strings to make movie magic happen. The son of well-loved comedians Jerry Stiller and Anne Meara, Stiller certainly has a legacy to uphold — and many of his performances are nothing short of hilarious, whether he's acting in a slapstick comedy of errors or a more cerebral farce. But he's capable of great depth and breadth in his work, as can be seen by sifting through his extensive filmography. 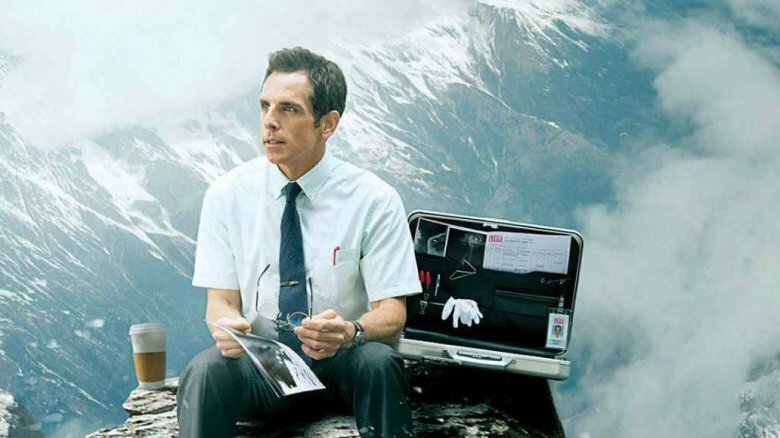 Even in The Secret Life of Walter Mitty, which has many comedic elements, Stiller delivers moments of great drama and sincerity. Often he's typecast as a manic savant or a put-upon love interest, but his production company's recent projects show he's trying to break away from that mold and take on different themes and ideas. 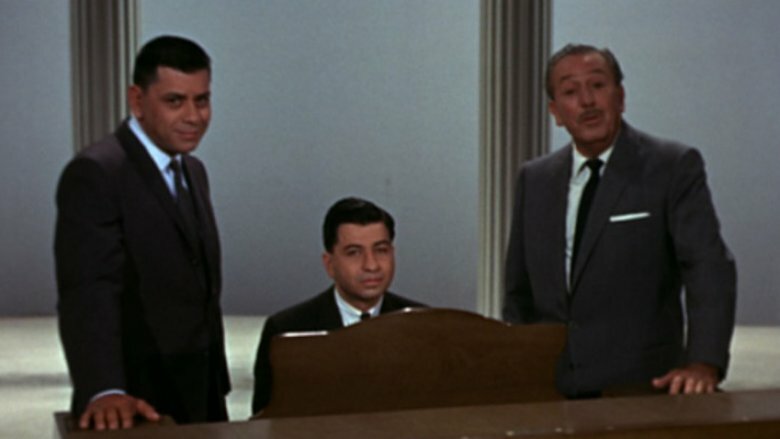 As demonstrated with releases like The Boys: The Sherman Brothers' Story, Ben Stiller's interests clearly go beyond comedy to touch other parts of the human experience. Sequels are always rough, and the long-gestating Zoolander follow-up is a perfect example. The original was more of a cult hit than a break-out success, but Zoolander 2 missed the bar completely, failing to fare well in the eyes of critics or filmgoers. In fact, it struck audiences as so unsatisfying that it garnered Golden Raspberry Awards nominations for Worst Picture, Worst Director, Worst Actor, Worst Screen Combo, Worst Supporting Actor, and Worst Supporting Actress — and poor Kristen Wiig actually won her nomination. Coming off the diminishing returns suffered by the sequels Stiller filmed for Meet the Parents and Night at the Museum, it would be fair to surmise that franchise work is creatively unsatisfying for Stiller, especially if he feels like he could be pursuing projects in different genres and roles. 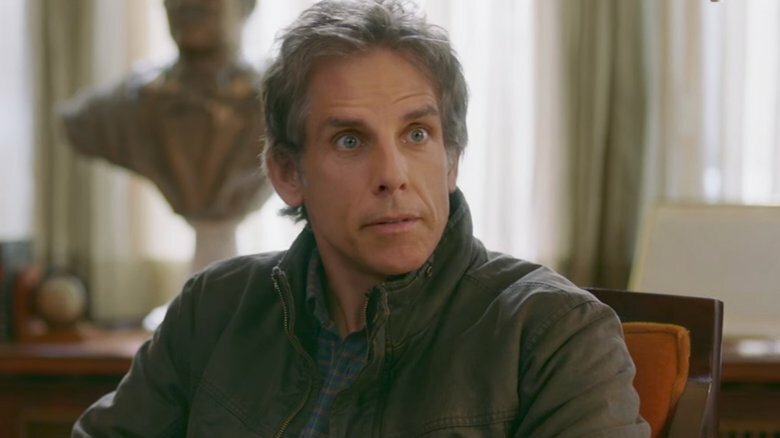 Endless sequels probably aren't what audiences most want to see Stiller in, either. In 2014, Ben Stiller was diagnosed with prostate cancer after undergoing a prostate-specific antigen (or PSA) test. While he had no history of prostate cancer in his family and the test is typically not performed until a patient is 50 years old, he had the test done at 46 for the first time. As Stiller's antigen readings climbed from test to test, he was sent to a urologist to have an MRI screening, which came back with the grim news. He immediately had a biopsy followed by a full tumor removal, and the cancer was ultimately sent into remission. Cancer diagnosis and treatment is an exhausting experience, and many patients come away from their illness with a new perspective and a desire to make some life changes. Perhaps this is the case for Stiller as well — a star who already seemed to be pushing his career in a different direction. 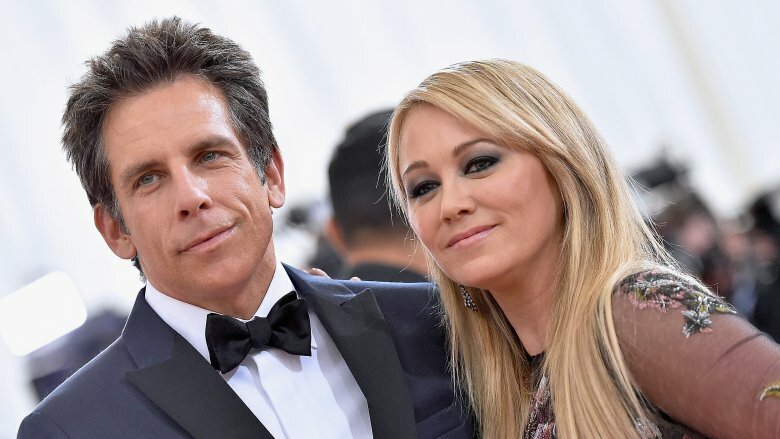 In May of 2017, Stiller and his wife Christine Taylor separated with stated intentions to divorce after an 18-year relationship and 17-year marriage. Over a year and a half later, they were still legally married and keeping friendly relations for the sake of their teenage children, Ella and Quinlin. The couple were seen together as recently as the summer of 2018, seeming to indicate that even though they're apart there are no hard feelings. Still, a separation and possibly imminent divorce is a lot to handle emotionally on top of a brush with cancer and a string of less-than-inspired sequels. It's refreshing to see a recently-split celebrity couple still getting along after ending such a long relationship, and maybe the outcome will be positive for all parties involved, but it would be naive to think that all this personal turmoil isn't affecting Stiller's creative life. In 2001, Stiller founded Red Hour Productions, through which many of his acting and directorial works have been produced, including Tropic Thunder and the Zoolander films. In 2015, Red Hour struck a partnership with Bold Films, a production and financing company which focuses on independent films and "providing an artistic haven for creative talent." Some of that creative talent includes Natalie Portman, Kiera Knightley, Jake Gyllenhaal, and Stiller's occasional partner in crime, Owen Wilson. This merger allows more financial stability for Red Hour, and audiences can look forward to future projects spanning film, TV, and digital outlets. Since Bold Films is known for many serious, dramatic films, it will be interesting to see how their style meshes with the comedic repertoire and big-name boost of Red Hour. But even though Red Hour has a whole slate of frenetic farces in their history, their founder has already been testing other genre waters. One of Ben Stiller's more recent projects is directing the seven-part Showtime miniseries Escape at Dannemora, a thriller based on the true story of a correctional facility escape in upstate New York in 2015. 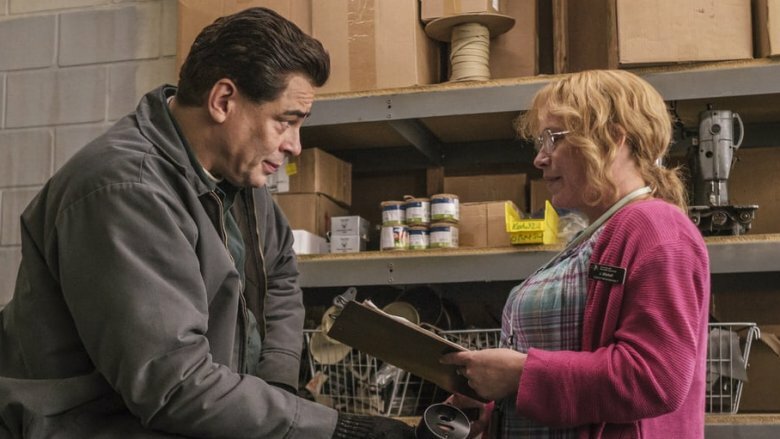 Starring such luminaries as Benicio del Toro and Patricia Arquette, Dannemora follows two convicted murderers who escape with the aid of a prison employee with whom they become romantically embroiled. A straightforward TV drama full of messy romantic tension seems like an even further stretch than a documentary for Stiller, but the series has been met with acclaim, earning an 89 percent rating from critics on Rotten Tomatoes. The real-life prison employee, Joyce Mitchell, portrayed by Arquette in the series, is far less happy about how she was portrayed, and had harsh words for the director. Still, a resounding TV hit has got to feel good for Stiller. 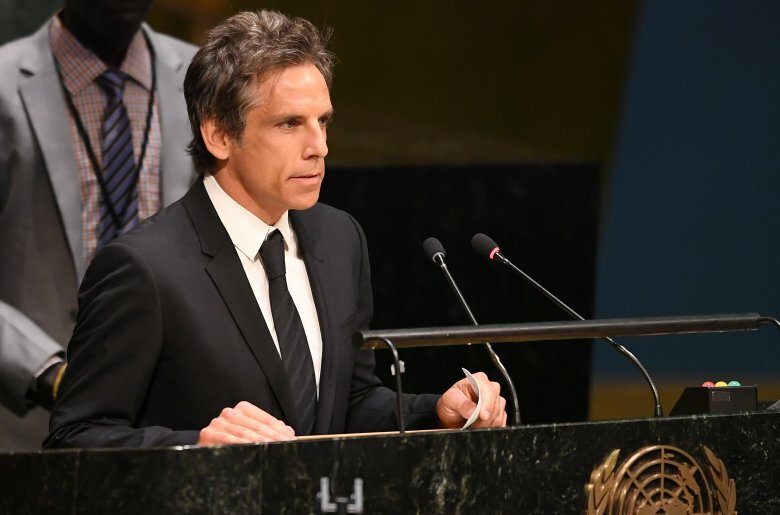 In July of 2018, Stiller was named the Goodwill Ambassador for UNHCR, the UN Refugee Agency. The announcement came at the end of his trip to Guatemala, where he was able to meet with refugees fleeing violence in El Salvador, Guatemala, and Honduras, including unaccompanied children. Stiller has been involved with UNHCR since 2016, when he met with refugees in Germany and Jordan. Considering that there are literally millions of refugees all over the world fleeing from violence or oppression or displaced through natural disaster, being involved with raising awareness of these issues could easily be a full-time job in and of itself. 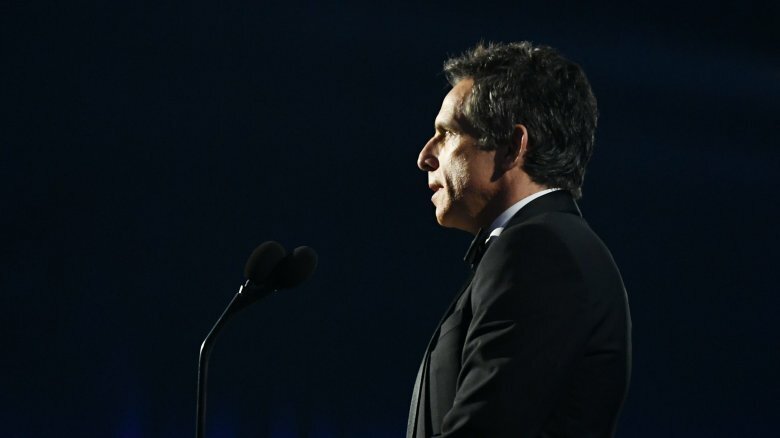 Even a quick glance at Stiller's Twitter feed proves that he's taking this role very seriously, as his Goodwill Ambassador title is the only title he's chosen to list in his bio — not bothering to mention acting, directing, or producing at all, and focusing the majority of his tweets on refugees and politics that affect them. The long-rumored sequel to the 2004 sports comedy Dodgeball: A True Underdog Story appears to officially be in the works. Few details are known at this point, but Stiller, who starred in the original as White Goodman alongside Vince Vaughn's Pete LaFleur, is reportedly attached as a producer. The entire project seems very much up in the air, but fans have long been hopeful that it will see the light of day with the original cast returning to reprise their roles. 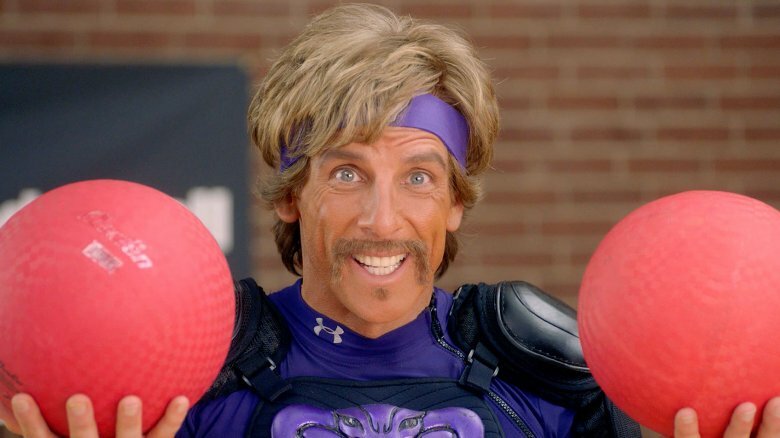 Knowing how busy Stiller is with his production company, directing for Showtime, and traveling the world in the name of humanitarian aid and activism, it could be quite some time before the big screen is graced with Dodgeball 2. Until that day comes, there's plenty of Stiller's behind-the-scenes work for fans to enjoy — including the Stiller-produced CW dramedy In the Dark, set to make its debut in April 2019.